We are happy to announce that ConVista has joined the #HappitFamily Partner Network. ConVista is a leading global IT and business consulting firm. With Happit they will ensure modern digital adoption and increasing value when implementing IT projects and business strategies for their clients. “Digitalization is not only about technology, but providing more efficient processes and working methods. We think that user adoption of these processes and methods is the key to successful digitalization in any organization. 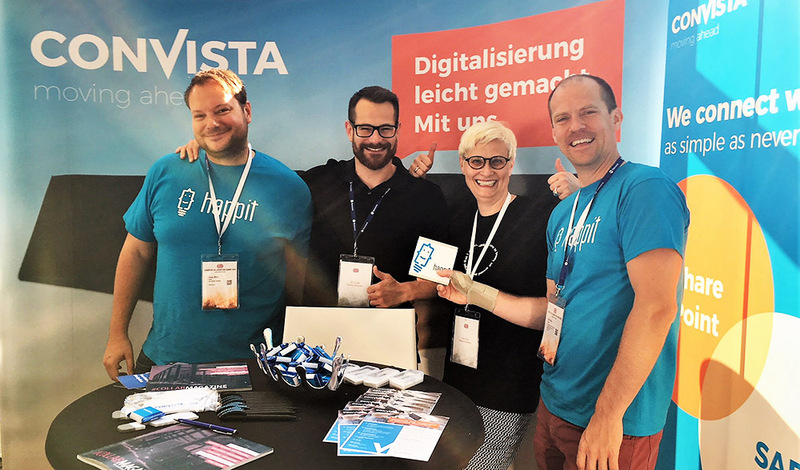 Happit is a powerful tool aiming at the empowerment of our clients in creating new work cultures.”, says ConVista Managing Partner Dr. Thomas Schönemeier. ConVista Consulting AG is working as an expert in SAP, Microsoft and other technologies for almost 20 years. The core of ConVista’s success is the combination of process expertise, technology understanding and method know-how. The company supports clients in project, quality, and change management, and continually seeks ways to improve their processes, methods, and technologies. ConVista offers Happit for SAP and Microsoft end user training to accelerate users’ time-to-competency. In addition Happit is used as a tool for change management and to enhance clients’ digital culture. Happit Single Click Learning allows that not only user training but engagement as well, can be done in the software UI, when and where users need it the most. Founded in Cologne, Germany, ConVista employs around 750 employees in 16 locations across three continents. The company serves more than 350 customers in 22 countries.